From the beginning we had been careful to arrange that only certain of our members would expose themselves to possible imprisonment at any particular demonstration. There was always to be a corps of leaders to carry on the work. But the Government, by sentencing a large number, not for any particular misdeed at any particular time, but for the general charge of incitement, had managed to disrupt this rota. He had lost his wife, to whom he was devoted, and felt for a time that life had grown utterly barren. 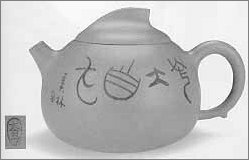 But he became interested in Chinese inscriptions on teapots and tea-chests, and by the aid of a French Chinese grammar, after learning French for the purpose, gradually managed to decipher them, thereby acquiring a new interest in life though he never used his Chinese knowledge for other purposes. By Sunday night he managed to write his papers. I finally managed to find what I was looking for.